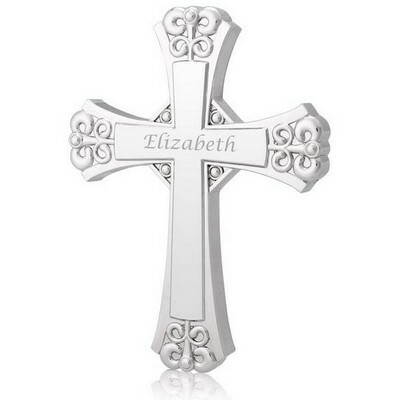 You have 40 characters left. 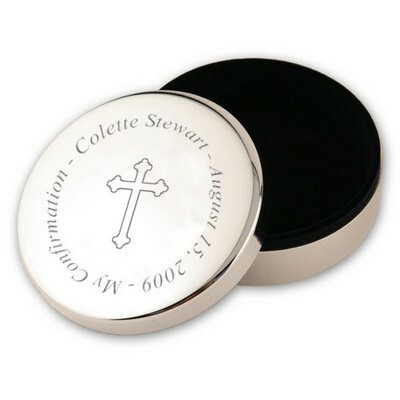 This silver Christening keepsake box makes the perfect gift to give a newly Christened baby. This silver bible serves as a wonderful jewelry box or somewhere to keep your valuables safe from being lost, damaged, or scratched. 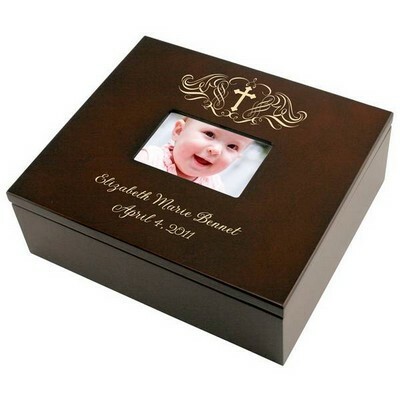 Lined in plush velvet, this Christening memory box ensures the safety and comfort of all valuables stored inside. A perfect sized box to sit on a desk or dresser. 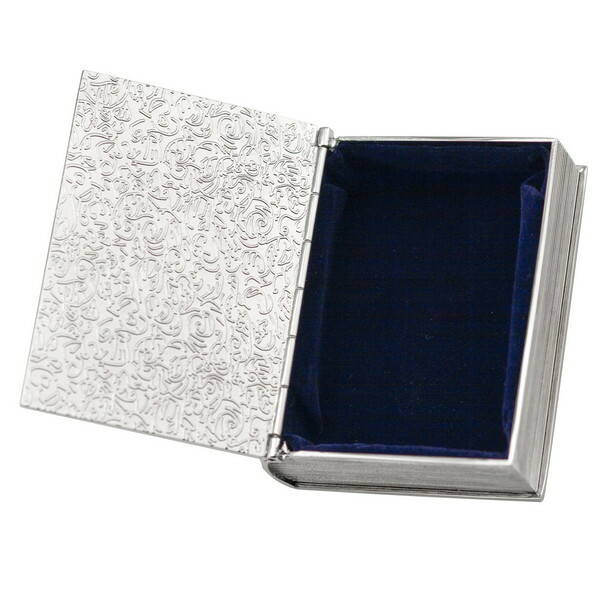 This silver keepsake box has a non-tarnish finish that will let the silver continue to shine forever. 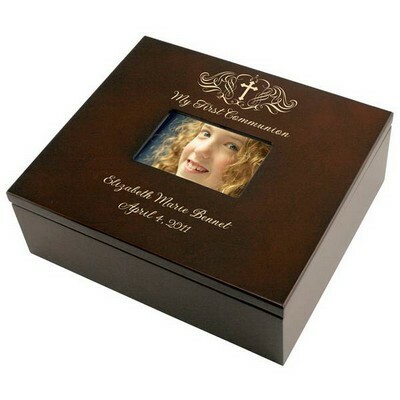 The cross on the front of the bible box will serve as a constant reminder of their faith and the comfort they can have from that along the path of their life. 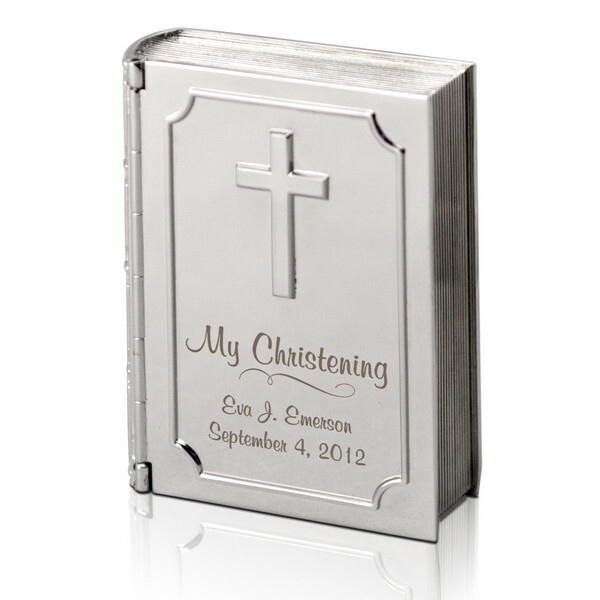 Personalize the silver Christening box gift by having 2 lines of inspiring text engraved beneath the cross and the elegantly engraved "My Christening." 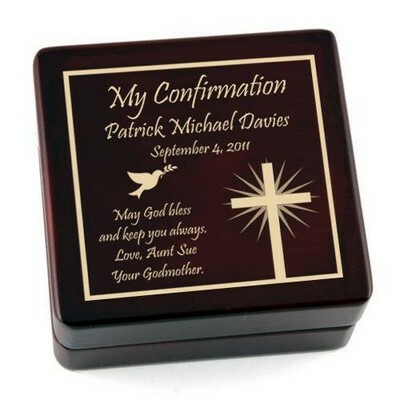 Having the child's full name and the date of their Christening laser engraved is a wonderful way to make it a thoughtful and meaningful gift to them. 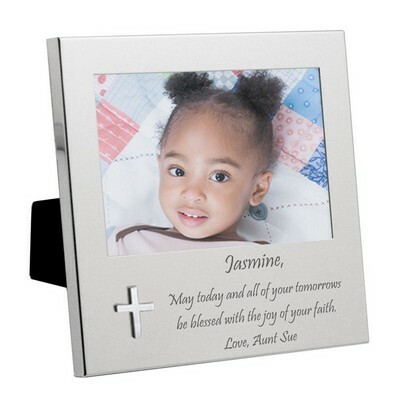 This is a fabulous baby Christening present, and a meaningful way to connect with this child. 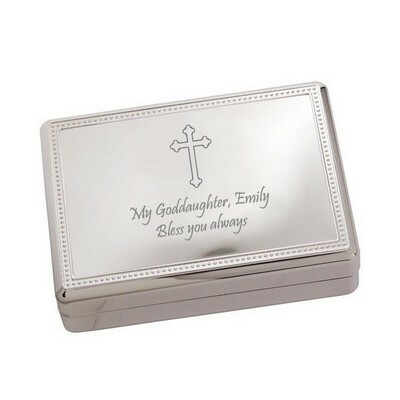 It is an appropriate size to keep anywhere to store your valuables. 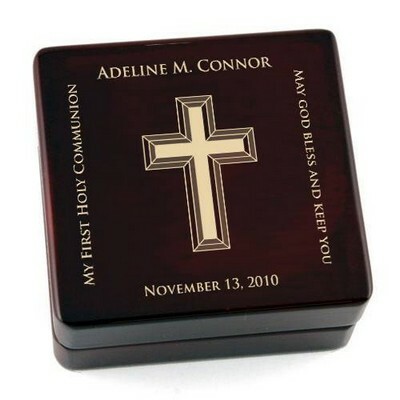 Standing at 3 1/2" tall, by 2 3/4" wide, and 1" deep, it allows the appropriate amount of room to keep any little thing safe. 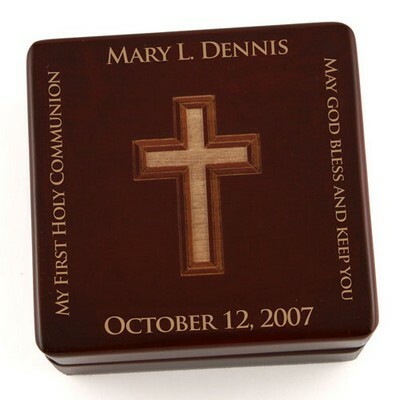 Personalize this gift with a name and date or special message.